The biggest complaint about Windows 8/8.1 was the Start Screen. Gone was the beloved Start Menu present in Windows 7 and earlier versions of the OS touted as being easy for consumers to do what they want, when they want it while using their PC. The Start Screen turned Windows 8 into a joke, and Microsoft knew they had to do something to repair it in Windows 10. Now, we have the Windows 10 Start Menu to work with, which takes the best from the Windows 7 and 8 Start Menu and Start Screen concepts. Let’s look at the Windows 10 Start Menu, how to use it and how to customize it so you can get the most out of the new Start Menu. Click on the Start Menu button in the left-hand corner of your screen to open it. By default, the Start Menu will be big enough to give you a glance of everything it can do. If you want to resize the Start Menu, place your mouse at the edge of the top or side of the menu, then drag it to the right size. You can make it bigger or smaller depending on your tastes. On the left-hand side, you’ll see your Most Used apps and software. These can’t be changed at the time, but you can right-click on any item to hide it from the list in the future. You also have a variety of other options at your disposal in this menu. 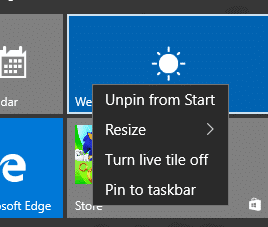 Just like Windows 8, you have options for working with the live tiles on the right-hand side of the Start Menu. You can drag, drop, remove and order tiles any way you want by clicking on one and moving it without releasing your mouse button. You can create groups, delete groups and move tiles around to organize them in a way you use them the most. If you want to delete a group, simply remove all tiles from the group. If you want to add a group, simply move a tile below all created groups to form a new group. You can rename any group by clicking the settings icon in the top right-hand corner of the group, type in a new name, then click away to save it. If you want to view All Apps, click on the link at the bottom of the left-hand corner of the Start Menu. 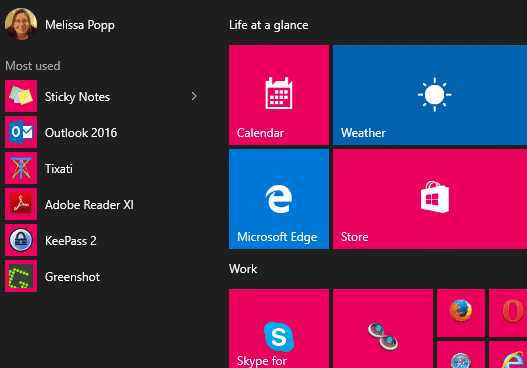 If you see New next to it, that means you’ve installed new apps and haven’t opened them, yet. Once All Apps is open, you can pin items to the main Start Menu if you want. You can also search for the apps and programs you’ve installed to pin them to it, too. You’ll see Power options, too, including sleep, shut down and restart. You can use this guide to add hibernate to these options in the Windows 10 Start Menu. At the top, if you click on your portrait, you’ll see options for changing account settings, locking your PC, along with signing out or switching accounts. 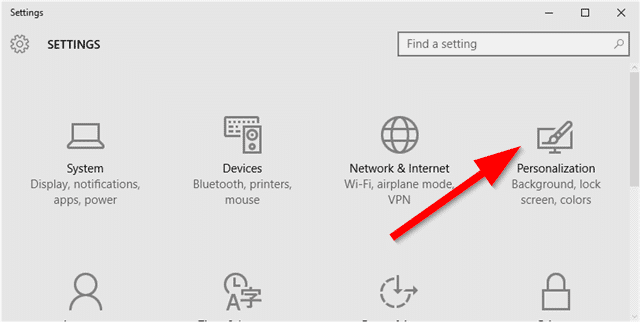 With the addition of the new PC settings in Windows 10, you can change key Start Menu settings in it, too. 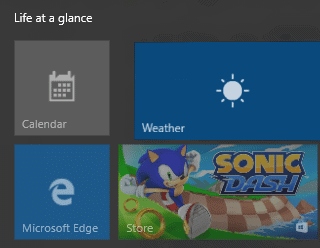 Click on “Settings” on the left-hand side of the Start Menu. 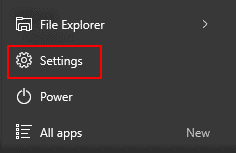 Now, click on “Start” at the bottom of the PC settings left-hand menu. 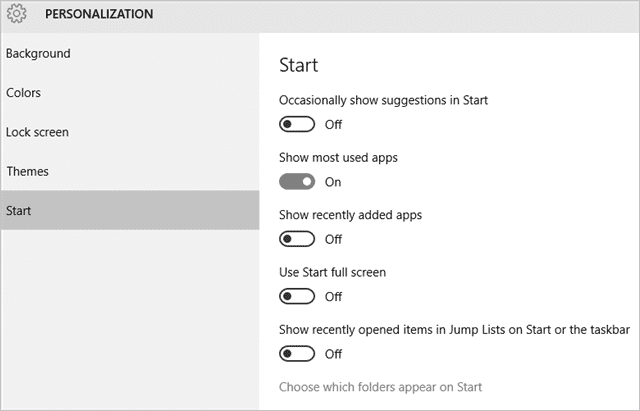 You’ll be able to change some features of the Start Menu, such as showing program and app suggestions, show most used apps in the left-hand pane, and more. Click on “Choose which folders appear on Start” at the bottom. 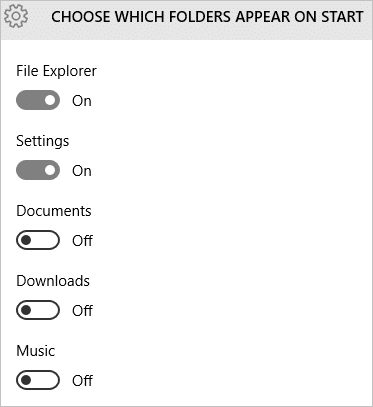 Here, you can pick and choose what folders show up, such as File Explorer, Pictures, Downloads and more. 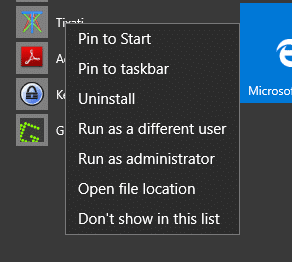 You can even add your own personal folders to the Start Menu if you use them often enough. 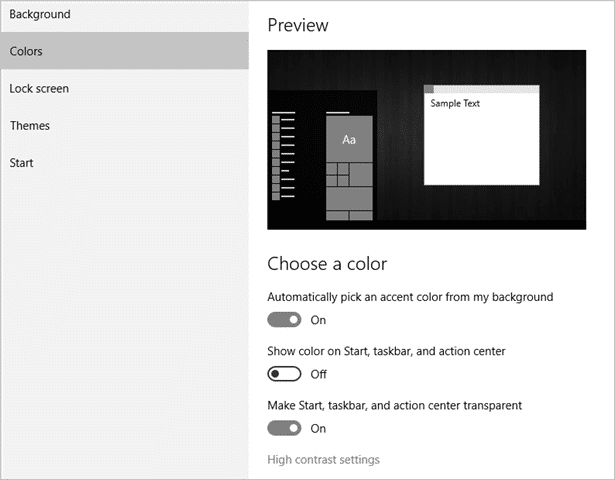 You can also change the color scheme of the Start Menu by clicking “Colors” in the same left-hand pane. By default, your Start Menu will be transparent and take on the color of the wallpaper you’re using. 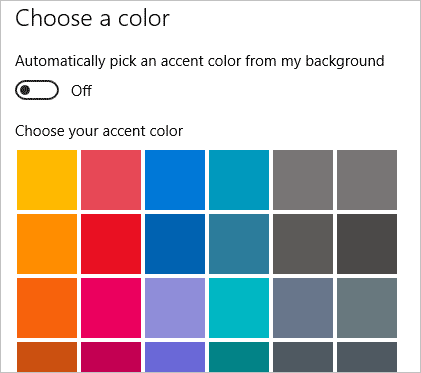 You can turn these features on and off, along with picking the accent color of the live tiles. 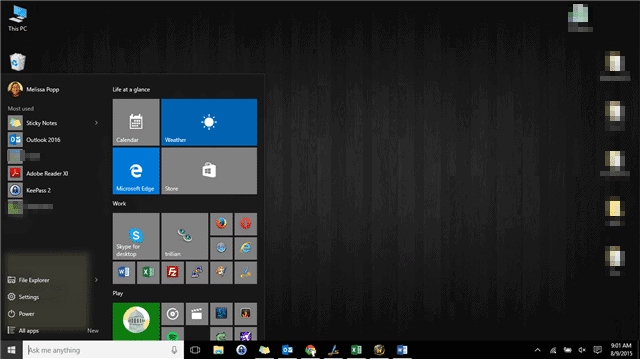 For now, there’s not a lot of customization options for the Windows 10 Start Menu. Hopefully, Microsoft will add more in the future. As it stands right now, the lack of customization is going to force users to install third party start menus like they did in the past and potentially registry hacks and PC tweaks to get the Start Menu the way they truly want it. WinAero, as usual, has a variety of tweaks to the Windows 10 Start Menu to make it more your own. Check out their tweaks, hacks and tricks here. 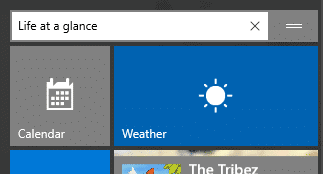 The Windows 10 Start Menu is an improvement on the debacle of the Windows 8 one. However, there’s still a lot of work that needs to be done to make consumers more comfortable with using it. 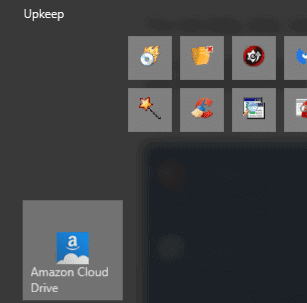 Until users have the ability to change the recently used programs spot in particular, they can’t really take control of the Windows 10 Start Menu. In the meantime, we’ll continue to cover registry hacks, tweaks and programs that bring back more of the familiar Start Menu consumers want in Windows 10. 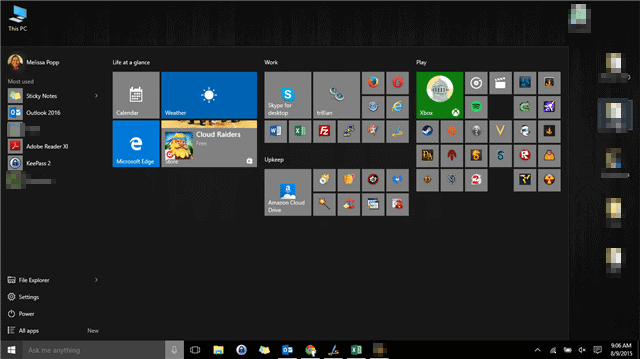 What do you think of the Windows 10 Start Menu? What features do you want to see? Do you think it’s an improvement on the Windows 8 Start Menu? Comment below and let us know!